Do you work out on the job site or at a health club? If it's a worksite, then you want to make sure you're wearing the proper safety footwear because if your feet are important and if you hurt them you won't be going to the jobsite. 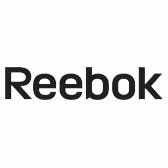 These Reebok RB4895 Men's Black ... (see full details) (see specifications) #RBKRB4895. Do you work out on the job site or at a health club? If it's a worksite, then you want to make sure you're wearing the proper safety footwear because if your feet are important and if you hurt them you won't be going to the jobsite. These Reebok RB4895 Men's Black Composite Toe Athletic Non-Metallic Shoes will be perfect for you. This footwear combines a rubber outsole, a flexible, lightweight EVA cushion midsole, and a wrap-around shank stabilizer. Providing the cushioning you need when engaging in athletic activities, these composite toe shoes are flexible and weigh less. The shank stabilizer helps with arch support and will provide lateral stability. In addition, the insoles of these Ketia shoes are composed of a removable EVA cushion insert with a sponge rubber heel wedge. Manufactured with a nylon mesh lining, these premium shoes feature a foot-cooling system. This breathable lining provides maximum ventilation, giving you the comfort you need. Nobody likes to have sweaty feet, especially during a long work day. In addition, these safety toe shoes are security-friendly. Since they are 100% non-metallic, you won't be activating any metal detectors. Another feature of this non-metal workwear is the extra wide ASTM composite toe. Constructed with molded polymer composite technology and ballistic mesh for added strength, this non-conducive protective shell will not transmit heat or cold. Providing even more durability, they are oil-, abrasion- and chemical-resistant. This footwear is also extremely stylish. When you look good, you feel good too. Don't you want to feel good when you're covering ground?? Then work out with these Reebok RB4895 Men's Black Composite Toe Athletic Shoes. You'll be glad you did. I would definately buy another pair like this again. They have a great fit and are true to size. The composite toe makes the shoe light, which is perfect for someone who works on their feet most of the day. I would definitely buy another pair like this again. They have a great fit and are true to size. The composite toe makes the shoe light, which is perfect for someone who works on their feet most of the day. Nice looking sneaker so you're not wearing some giant clunky pair around. Shipping and service with WP.com has been great! We've become a regular customer. Reebok Shoes: Men's Ketia Black RB4895 Composite Toe Athletic Work Shoes is being added to your cart.